This is Asia's evil triangle - the most cruel spot that exists on earth. It is a dirty, profiteering and callous reality, where cruelty to animals are more frightening and painful than the worst nightmare. The animals are not regarded as sentient beings at all. They are from the first moment only regarded as meat and leather. 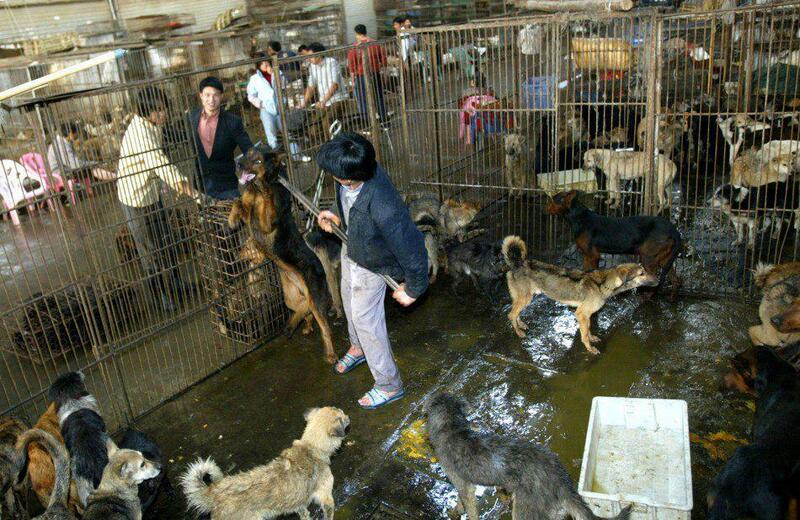 Dog and cat meat trade goes from Thailand, further northeast to Vietnam, China and Korea where the animals end up at the butchers or restaurants. Many die on the way, but many are forced to suffer through a long transportation distance and then, according to superstitious tradition - die a painful death. Animal rights people of Cambodia, China, Korea, Philippines, Thailand and Vietnam are working frantically to protect the animals - but these atrocities are considered legitimized by tradition, it is critically important that we help our animal friends in Asia. China has censored access to the World Wide Web and banned access to Facebook, so we must act as their voices outside China. We must help them to spread the words, images and movies - the more people who know the truth, the sooner we can put pressure for a change. Callousness, apathy and indifference in Cambodia, China, Korea, Philippines, Thailand and Vietnam. The only life that matters in this profit jungle are the perpetrators' own lives and existence. 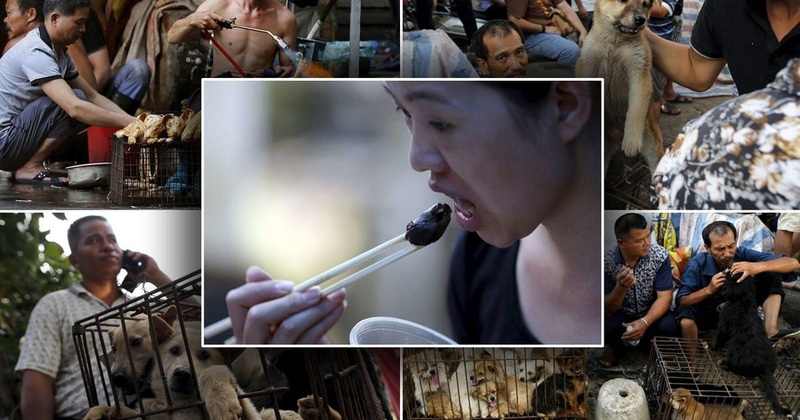 The cruel Yulin dog meat festival (Lychee and Dog Meat Festival) was inaugurated as late as the 1990s. Bear bile - China was the first country to use bile and its storage organ, the gall bladder, as ingredients in Traditional Chinese Medicine (TCM). Bear bile was first recorded in "Tang Ban Cao" (Newly Revised Materia Medica, Tang Dynasty, 659 A.D.). For thousands of years, the traditional way to acquire bear bile was to kill a wild bear and remove its gall bladder. The use of bear bile in medicines was adopted by Korea and Japan centuries ago as a part of TCM. In the 21st century, the use of TCM is widespread, not only in Asia but also throughout Asian communities in other areas of the world. 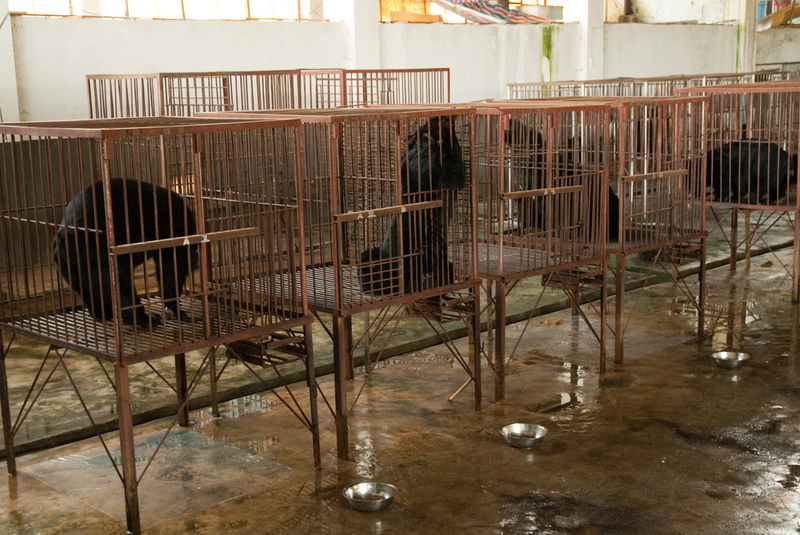 In the early 1980s, bile bear farms began appearing in North Korea, and then spread to other regions.